Multi-layer non-stick interior with vitreous enamelled exterior. 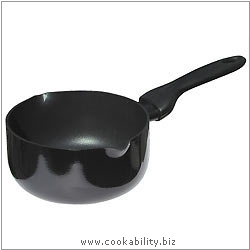 Generous shape with contemporary handle. Non-stick care advice. Radiant ring, ceramic, gas, halogen, solid plate.